These are essential items of equipment for guéridon service and are used in cooking and flambéing dishes. Care and maintenance of the flare lamp is very important to maximise the life and minimise the possibility of accidents. 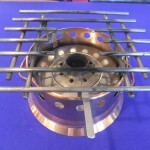 There are many types of flare lamps used today. Below you will find interactive illustrations that describe the different parts of these lamps. Methylated spirits: These lamps are in decline in many restaurants in favour of the more modern gas lamps. It’s important to check these lamps daily. All the component should fit together well, as any leakage of the spirit can cause serious accidents. Gas: These lamps are very popular and replacements gas is cheap and easy to install. Gas lamps give more control of the flame. These lamps are often found in custom trolleys that have them built in. This adds extra safety to their use. When lighting a flambé lamp, it’s important to keep the safety of your guests in mind. Always strike the match towards yourself and not towards your guest. You will be in a better position to deal with a situation should the match break and fly through the air. 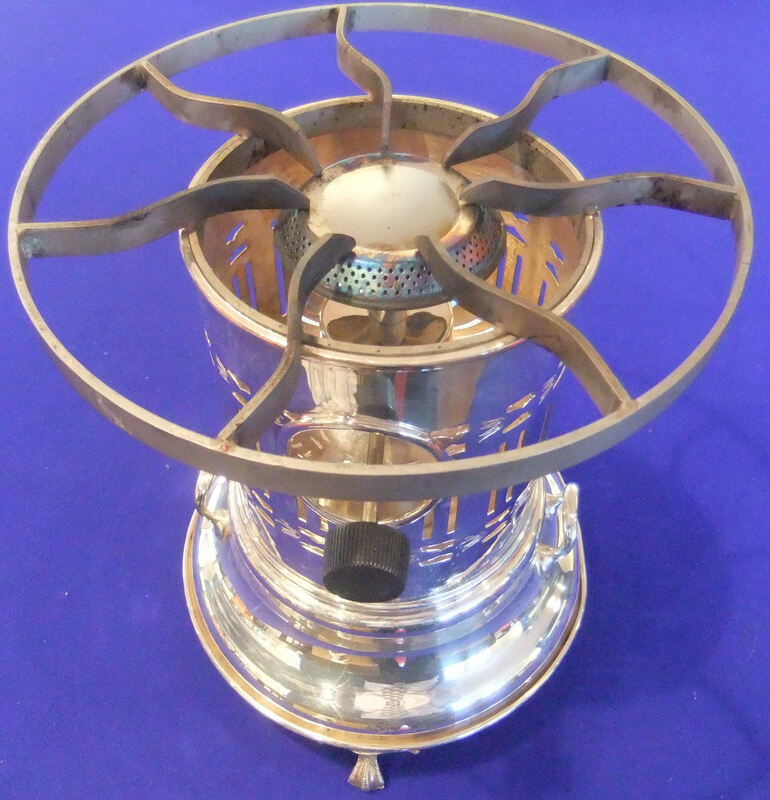 When using a gas lamp, light the match first before turning on the gas. This will prevent any accidents with gas leaking before lighting the match. 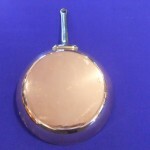 Suzette pans are a shallow pan that is used for lamp cookery. They resemble a frying pan in shape and size. Most are 23-30cm indiameter. 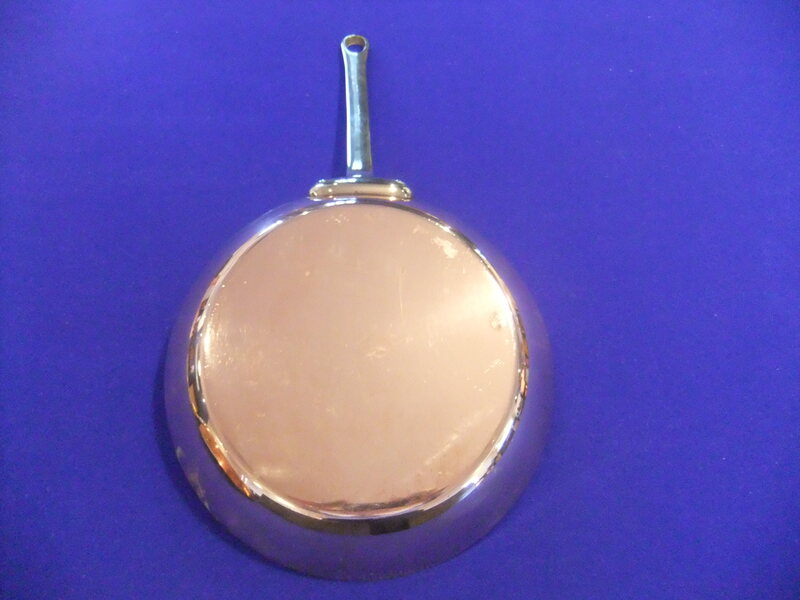 The pans are usually made of silver-plated copper as this gives an even distribution of heat. 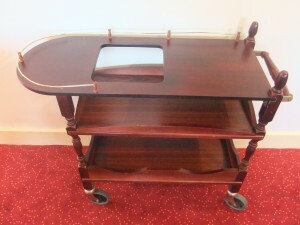 There are many types of trolley available to restaurants. Most will have a dedicated place to put the flare lamp, if it is not already preinstalled. It’s important to keeps these trolleys clean and tidy during service. It may not be possible to polish lamps and pans between serving different customers, however it is essential that trolleys are wiped down after every service. The wheels should also be checked on a regular basis to endure they are well lubricated. The trolley should always be pushed around the restaurant as this gives the waiter better control. When placing a trolley at a guests table ensure it’s positioned in such a way that all guests appreciate the skill involved in preparing that particular dish. 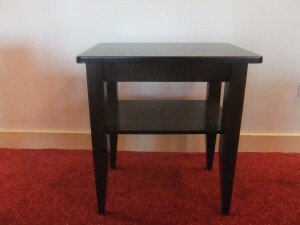 Stationary tables may also be used as a guéridon. These must remain in position throughout service. As a result trolleys are a more popular choice when adapting this type of service.